Are you caring for a frail senior citizen or a child/adult with disabilities? Learn how you can get help! Click here to view a flyer with more details. 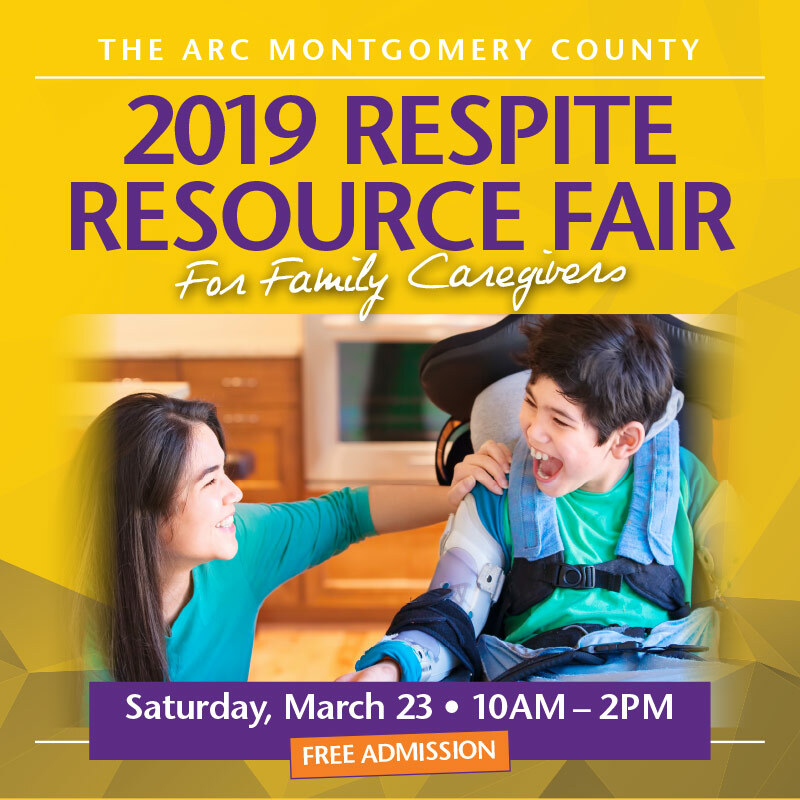 Come to The Arc Montgomery County 2019 Respite Resource Fair on Saturday, March 23, 2019, from 10 am-2 pm at The Activity Center at Bohrer Park, Gaithersburg. Learn how unpaid, live-in, primary caregivers can get short-term, occasional relief from their caregiving duties and other support. Meet potential respite care providers and learn more about how respite care works. Click here to view and download a flyer with details.